The DIOR Pamper Room is sure to be one of most pleasant surprises of the Carnival. Exclusively for the ladies of The Village and The Hedges, The DIOR Pamper Room is more than just a waiting room for the bathroom. It’s a sanctuary to touch-up your makeup with the experts from Alison Jade Cosmetics or tidy up your hair with experienced hair stylists. You may choose to simply relax with an iced water whilst freshening up. 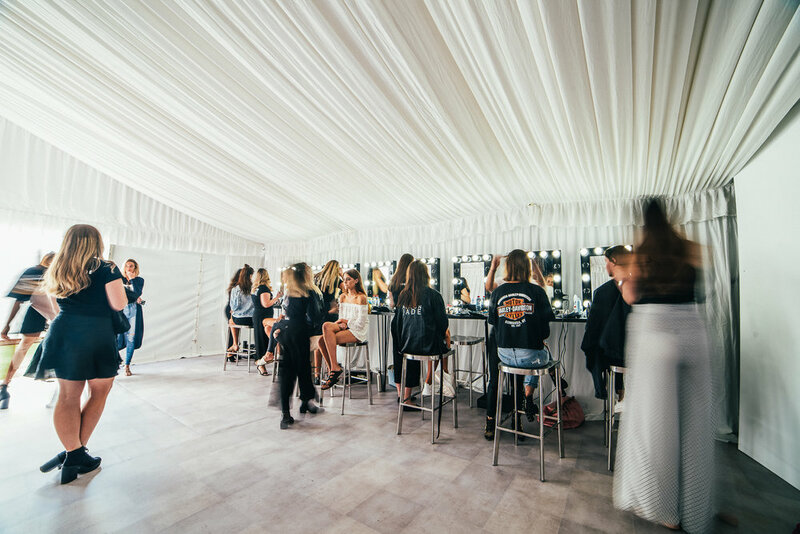 This space will be equipped with illuminated make-up mirrors, staffed by beauty experts from Alison Jade Cosmetics, comfortable lounges, a manned water station, and a concierge, all on a hard floor marquee. This is bound to be one of the most talked about and photographed highlights of Tipple.